“Not only are the sales figures fantastic and the platform easy to manage, our staff now spend less time answering the phone and handling enquiries. The Gifted support team are always on hand and we can’t believe the results we’ve had since we’ve launched.” Susan Moiser, Owner of South Causey Inn. The 4 star, 28-bedroom hotel were looking for a complete solution for their gift vouchers as they only offered a small selection over the phone and could see the potential revenue gift vouchers could deliver on a daily basis. Their buying process was drawn out and they received minimal sales as a result. 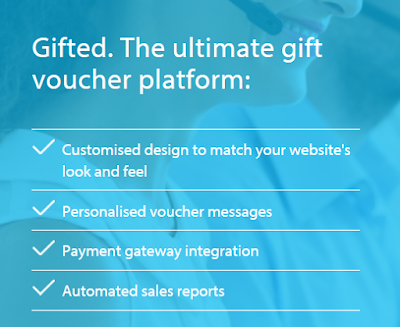 Gifted offered an intuitive and easy-to-use online platform that took care of daily operations for the South Causey team. Guestline created an online offering that reflected their brand and provided a seamless order process for their customers, allowing guests to buy gift vouchers in as few clicks as possible. With a fast turnaround time, design-led platform, and ongoing support, South Causey Inn have achieved outstanding results since moving to Gifted. Kim Kiyosaki Biography is the story of a young woman who has been fascinated by, ventured into, and made it big. ... He is an entrepreneur, business owner, investor and author, a multi-millionaire. She started her career as an employee of a business magazine in Honolulu, Hawaii.